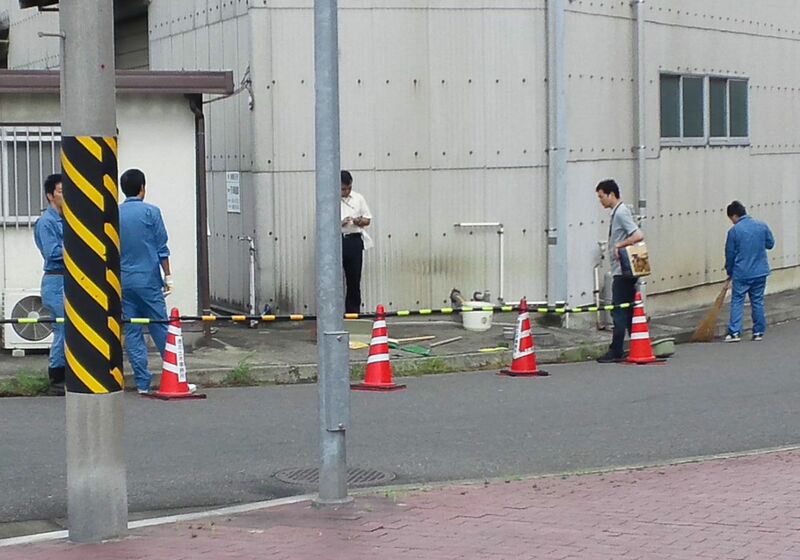 Meanwhile, this is how the Yokohama City workers (or the contract workers) “cleaned” the highly contaminated (42,000 becquerels/kg cesium) dirt from the side of the road. No protection, no masks, no rubber boots. 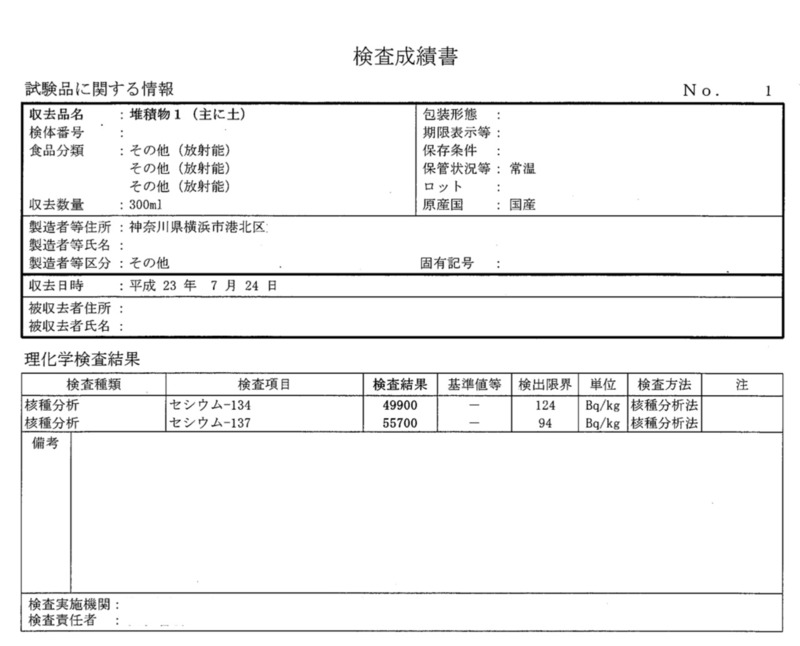 Yokohama City Assembly recently voted down the citizens’ petition asking the city not to accept radiation-contaminated disaster debris from Tohoku by the majority vote by the DPJ and LDP and Komei Party. The city temporarily halted the dumping of radioactive sludge ashes into the ocean as the citizens’ protests were fast and furious once they knew about the scheme, but the mayor in the press conference took pains to emphasize that only thing that had gone amiss was that the city officials under her clearly didn’t “explain” well enough to the Yokohama residents living in the area around the final dumping site in Minami Honmoku Pier in advance. “We should have explained better to soothe the fear and anxiety of the residents”, she said. The mayor, who fed 80,000 elementary school children in the city with radioactive beef, then went to an APEC’s women’s meeting in San Francisco and appealed Yokohama. (As what?) And she wants her official residence renovated by city’s taxpayers’ money. Something seems to me to be really out of whack in Yokohama City. I’ve heard Mayor Hayashi speak in the press conference. She speaks well, very dry, businesslike. Maybe that’s all she does well – to speak well. Understanding what the issues are or what’s at stake is for someone else to do for her.